The effort to protect our natural resources and our communities does not begin with us. It begins with you. Whether a native North Carolinian or a transplant who now calls the Old North State home, it is up to all of us to ensure that the this state’s vital natural resources remain safe for us and for future generations. Your contribution goes toward holding elected leaders accountable for protecting your environmental values. Support our campaign to protect our air, lands, and water by becoming a monthly sustainer. Members are willing to take action on all issues, whether demanding swift cleanup of coal ash or additional funding for renewable energy. The choice is yours. The appreciation is ours. Thank you for helping us secure a better quality of life for all North Carolinians, from those living in the mountains to on the coast and everywhere in between. 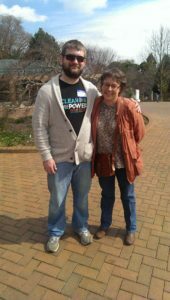 Have questions about donating to the NC League of Conservation Voters? Please contact us at (919) 819-0006 or at info@nclcv.org!